Today I want to tell you how to make hard-boiled eggs. As you probably know by now, I love eggs. They are very good for us! 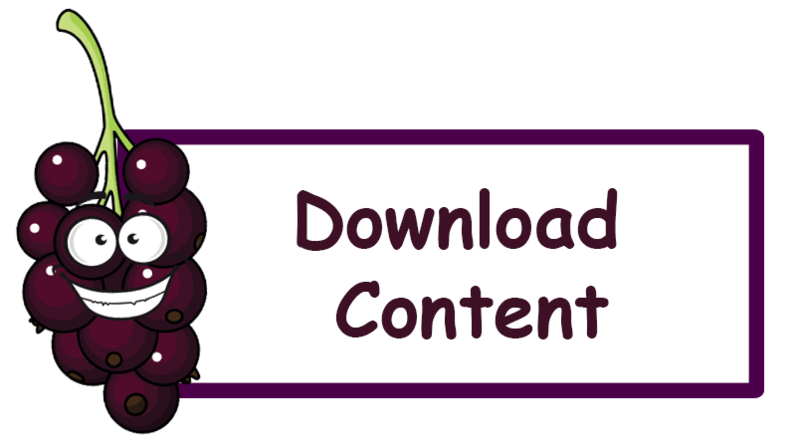 They taste great, they are full of nutrition and we can do so many things with them. Just see the picture, haha. 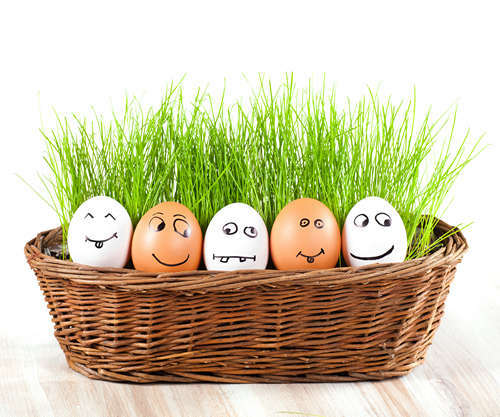 Hard-boiled eggs are a great snack and fit in any lunch box. PLEASE READ EVERYTHING FIRST BEFORE YOU START. Choose a pot that is big enough to fit the amount of eggs you want to cook. Maybe 2-4. 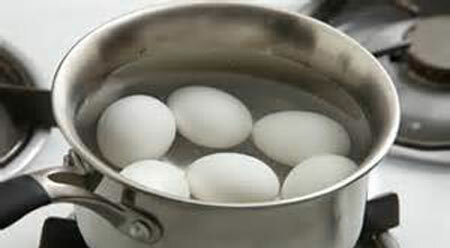 Place the raw eggs carefully on the bottom of the pot. Make sure they don’t crack. If you use more eggs please don’t pile them higher than half way up. Now fill the pot with cold water. Fill it up to cover the eggs entirely and just a tiny bit more. Put the pot on the stove and put the lid on top. Then turn the stove on to MEDIUM (ask your parents to help you please). Bring the water to a boil. Once the water is boiling turn the stove off and keep the eggs in the water. Please keep the lid on the pot AT ALL TIMES. It makes the water boil faster and it prevents you from getting burned by hot water splashes. Set the timer to 15 minutes (for medium/large eggs). 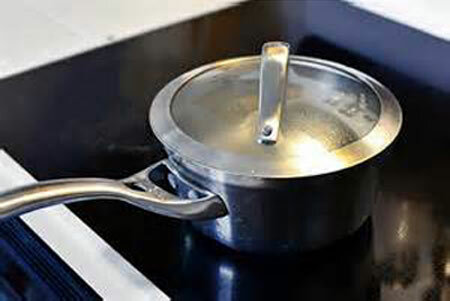 When the timer is up take the pot off the stove using an oven mitt or a towel, carry it to the sink and let cold water run into the pot and over the eggs. This stops the cooking process and cools down the eggs. (Note: You can add ice-cubes if you have. This will cool the eggs even faster). 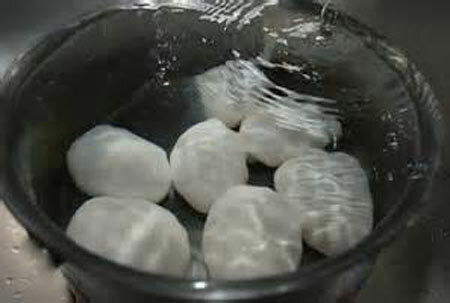 Turn the water off and let the eggs sit inside the cold water for a few minutes. Then pick them out of the water, carefully dry them with a towel and store them in the refrigerator for when you get hungry. TIP: Here is a great way to peel a hard-boiled egg! Take the egg and carefully crack the shell on the counter top near the sink. 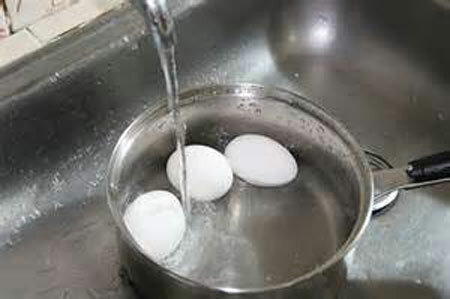 Then turn on the water and peel the egg under running water. The water will wash off the sticky shell. Cool huh? 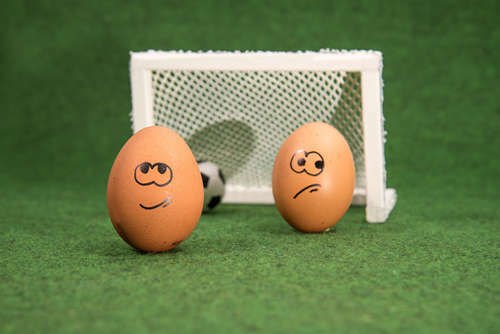 A hard-boiled egg is a GREAT snack right before you start playing, or after. It gives you super-hero power! Keep one in your lunch box every day. Did you have fun boiling eggs? I hope you learned something new. Now tell all your friends! How do you cook eggs? 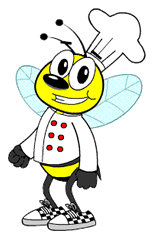 Do you have a favorite dish? Please share your secret with us so we can share it with others.